Here is a stock which has gone up around 1500% in last 260 days.That is a significant move. What is a significant move in a stock. Assuming you are not a high frequency day trader, then you would define significant move as 5% in a day for individual stock. If you add say another criteria of saying the 5% move should be accompanied by volume increase over yesterday. So lets say 5% move on higher volume is significant. The real reason for this is to find out how many stocks make that kind of a move in a day. Supposing 5% of the total universe of stock on a given day has 5% move, is that significant.Does a one day significant move indicate future returns. Many of the things which I look at on daily basis and monitor is basically a variation of significant moves on various time frames. A 5% move on individual stock on higher volume with a cut off off 100000 plus volume to me is significant move based on past studies of stock price moves. Similarly a move of 2% on any of the Index is significant. Or a move of 2% on a sector is significant. It is more significant if it happens on higher volume. Taking the same logic further a 50% move in a stock in a month is extremely significant move. It indicates an aberration. A 25% move in a month in a stock is on a significance scale also very significant.A 25% move in a quarter is significant in a market where the average long term drift is less than two digits. Similarly a move of 100% in a year on a stock is a significant move. Now if you constantly study significant moves and build an iterative model over a period of time you will probably learn a lot about such moves. A brute force backtesting might give you even greater understanding in to such moves. A combination of backtesting and continuous iteration gives you a live model of what makes a stock make a significant move. Largely my study of significant moves supplemented by additional insights has helped me understand what kind of stocks are likely to make a significant move for a given time frame. There are factors one can isolate which increase probability of a stock making a significant move. That gives you a significant edge in avoiding the bad or low probability trades. Here are 25 stocks which have made significant moves in last 260 days. Is there any thing one can learn from them. How many of them are on your radar. Studying significant moves on daily basis can give you a significant edge in finding stocks likely to make significant moves in the future. Bulk of the action in the market since July was dominated by large caps and mid caps. The small caps had a minor role to play. After a few months of consolidation, a hint of a rally is developing in small caps. In last couple of weeks the large caps have mostly been consolidating or pulling back.The AMEX index is quitely moving up now for few weeks. Monday was the first day I started finding lots of small caps in scans and yesterday also there were more than 156 stocks up more than 5% on higher volume. The small caps are very good trading vehicles in my scheme of things. Even a small catalyst can propel a small cap stock 25% plus in a quarter. Inefficiencies are more evident in small caps and low float stocks than in large caps. While two days action might be just a fluke, there are other interesting things showing up in my indicators. The Stock up 50% or more is at 9 by end of yesterday. Levels above 10 indicate a good momentum on individual stocks. Now this indicator is climbing back after making a low last week, which again shows momentum accelerating rather than decelerating. Inference more sectors , stocks breaking out to upside. Similarly my other indicators like number of stocks making 25% move in 65 days and number of stocks up 100% in a year have started climbing back after hitting bottom last week. So tentatively indicating a broadening of rally. Looks like another day with 100 plus breakouts. More new sectors and stocks are witnessing high volume breakouts. Earning lead breakouts continue to work. Trucking and shipping are witnessing number of breakouts. Some days back I talked about the importance of overall contextual framework for any strategy. Once the conceptual framework is understood it is easier to implement a strategy. Much of the work on my earnings based modelling has been based on a book by Richard Bernstein. 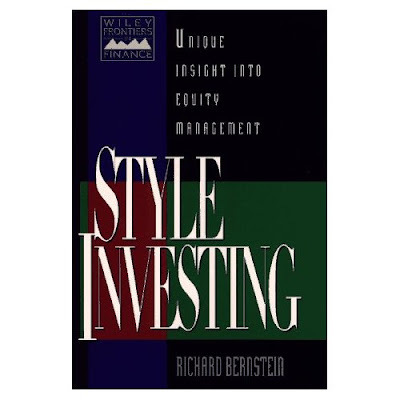 Merrill Lynch quantitative strategist Richard Bernstein in his book Style Investing: Unique Insight Into Equity Management offers a very useful conceptual framework for understanding the role of earnings and earnings expectations in stocks price growth. Bernstein's earnings expectations model compares earnings expectations of a typical company on a clock face. When a company is at its pinnacle in growth term it is at 12.00 midnight. In his book he offers a strategy to identify stocks early enough in their growth cycle. The idea is to find growth stocks early enough but not to overstay the party. 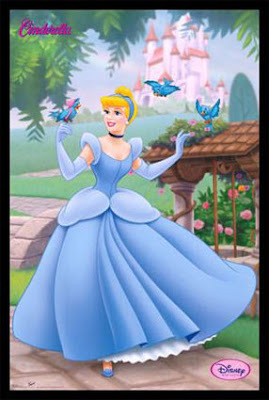 That is why the name Cinderella strategy- you should not overstay the growth party and must leave the party before midnight. The strategy basically offers a choice of value investing or growth investing based on how early you identify earnings potential of a stock. 3 o’clock: Analysts revise earnings estimates downward. Growth investors abandon the stock. 4 o’clock: Earnings expectations continue to fall dramatically. 6 o’clock: At some stage earnings expectations reach their low point. At this point most of the bad news is priced in. Expectations are at lowest level. This is where value investors focus. Value investors want to buy stocks neglected by market but which have the potential to surprise on earnings front. They want to buy it before the earning surprise. One of the risk of value approach is if you buy too early, you have to wait a long time. 7 o’clock: Stock has a positive earnings surprise. If it is a genuine turnaround there will be more surprises down the line. 9 o’clock: Market starts to recognise the stock and its earning potential. This is where primarily growth investors focus. They want companies that have exhibited consistent earnings growth over several quarters. They pay premium for such stocks as the stock has already moved from low expectations to high. The value investors pass on these stocks to growth investors during this transition phase. The risk of growth investing is overstaying the party beyond midnight. 11 o’clock: Everyone becomes aware of the company. 12 o’clock: Earnings and earnings expectations reach peak. The CANSLIM strategy primarily operates in the 9 to 12 quadrant. That is one of the reason many of the stocks on IBD 100 can break down also after appearing in the list. Earnings lead breakouts operates primarily in the 6 to 9 quadrant. Building a mix of earnings based strategies in the 6 to 12'o clock time frame gives you best of both worlds. The market continues to be range bound. While the rally leaders pullback or breakdown, a broad based sector rotation is at play. The new sectors breaking out offer some very good low risk opportunities for entries. What are the sector themes emerging. Solar energy, every single stock related to solar energy is breaking out. Clearly the market seems to like the prospect for solar plays. Steel and metal is another sector witnessing breakouts in last couple of days. These sectors are breaking out after a few quarters of good earnings. Regional Banks are also breaking out. In last couple of weeks Regional Banks have seen large scale breakouts after many months of unerperformance. Other sectors where there are fresh breakouts is large cap biotechs, auto parts and aerospace. So even though market is stuck in range there are lots of opportunities. Last week had all the excitement the short term traders crave. Breakouts to new high on indexes followed by a reversal followed by no follow through. End result, markets are where they are. The month end effect should keep the market in stalemate stage for sometime. So far the earning season has been good. Companies have mastered the art of setting low expectations and beating them. But early trends indicate yet anther double digit growth in earnings. So in absolute terms earnings are good. The problem is forward guidance. For the first time after a series of good quarters, the forward guidance is uniformly lacklustre. So far the sector picture emerging from the earnings favor insurance, financial brokerage and material sector. Many of the stocks in this sector have already rallied in anticipation of this. If you go back few quarters, the market theme was slowdown in US economy. Depending on who you listened to, there were extremists predicting doom and gloom and there were others predicting resilient economy. The bonds were moving in the recession camp. Now with more data coming in inflation seems to be back as the theme. Contrary to the predictions of the gloom and doom camp the world economies have accelerated growth and in countries after countries inflation fighting measures are being taken to slow down growth. Rising interest rates are never good for the markets. When the leaders falter be careful. The leaders which lead the rally since July are stalling and in many cases exhibiting signs of blowout moves or reversal. Look at stocks like AAPL, RIMM, GOOG, IAAC, GROW, CSH, MWRK, LCC, AMR, etc. They have stalled and not moving forward. The Investors Business Daily indicator of distribution days on Indices shows 3 days for Nasdaq and 3 for S&P in last 4 weeks. 4 plus levels are indicative of short term tops. My own Stocks Up %0% or More in a Month indicator is at 3. That indicates lack of market momentum at individual stock level. In a rising markets the levels are between 10-20. So at individual stock levels there are very few strong moves. Overall we are at an interesting crossroads and the probability of next move down is high. The only sector which seems to be attracting longer term interest is Technology, where the earnings are not so good but there are number of breakouts post earnings. So probably there is an anticipation of better days ahead in few quarters. I am sure you will have James Altucher adding Dilbert Portfolio to his site and will have a column on TheStreet.com about "How to invest like Dilbert" soon. Last year I asked my wise readers to recommend stocks that would be sure winners in the future. I compiled the best and most frequent suggestions into the Dilbert Portfolio. I confidently invested $75K in the portfolio. This seemed like easy money, given the crackling intellect and nearly godlike forecasting powers of my readership. So how’s that portfolio doing in a market that is way up during the same period? Not bad for a few weeks. Unfortunately for me, my largest holding (because I bought 500 shares of each stock regardless of price) was BHP. It never jumped in value and I held it. It’s down 16%. But with a forward P/E of 9.8, and growing demand for their products, it still looks cheap. So I’m keeping it. As with most of my stock picks, they become real bargains sometime AFTER I buy them. My current overall return, including BHP’s drag, is up 1%. Had I not been too lazy to do the math when I first invested in the portfolio, I would have bought equal dollar values in each company, instead of an equal number of shares, and I would have been up a few percentage points more. Still, by any measure, the Dilbert Portfolio has been a disappointment despite all of the good thinking that went into it. Soon, many of you will be asked to cast votes in a major election. Good luck with that. As I mentioned some days ago, my plan this year is to go through all old books, articles and research which I have previously read instead of new books. One of the recurring theme once you start going through the material is big edge or small edge. Big edge is structural, it is based on some fundamental understanding of how market works. It is enduring and it is narrow focused. For example take Peter Lynch. His objective was to find ten baggers. His entire edge was based on that key insight as to how to identify stocks early enough with potential to make a ten times move. Everything revolved around building that big edge. That lead him to concentrate on new innovative, young companies and research them thoroughly. In his long career, he found several of them. You will find similar stories of traders who wanted a big edge and found it using several methods. On the other hand look around, you have proliferation of people claiming they have 25 cents edge or 1% or 5% edge. The meme going around is if you can find 1% everyday then ....... Most of these people use some sort of voodoo science of technical analysis to find such edges. Most of these edges are ephemeral and that is one of the reason you will find they vanish and many of the small edge traders periodically go through existential crisis. The other problem with small edges is your cost of trading is very high. All those using small edges need several tools to identify their entries and exists. They need real time data, expensive scanning software and multi monitor set ups. Everything in small edges is tactical.If you have large edge you don't need all those fancy and expensive tools to find trades. Another problem faced by small edge traders is psychological. So much of their results and outcome depend on their state of mind. Unless everyday they are perfectly psychologically aligned, they can not exploit their minuscule edge. Because if your edge is 1%, before you blink that opportunity is over. The psychologist catering to traders have found a receptive audience amongst these small edge traders. There is proliferation of psychological tools, profiles, tapes, 3 things to do kind of talismans being offered to these traders. Many of these traders who can find 1% or 5% edges would significantly improve their returns, if they changed their focus to finding 10% or 50% edge, but often activity is more alluring than profitability. As a trader there is a choice whether to pursue small edge or large edge. In a market where bulk of the participants are trying to perfect small edges, as a contrarian strategy itself, you should look at large edge. The paths to acquiring the edge are different depending on the choice you made. Like Peter Lynch if you went around in search of 10 baggers you will find several of them, same way if you look for 1% you will find 1%. Did the market rally on Wednesday? Markets have been unable to move to either direction strongly since Thanksgiving. The muddled market action continued yesterday. The indexes reversed their gains. Those who aggressively bought on Wednesday were shaken and stirred. There was no bid for the entire day. Which indicates large scale liquidation of position by some large speculators. They just used the Wednesday strength to dump some supply. When a market starting from morning just keeps going down, generally the market participants know a large seller is around and buyers and bid disappear. Expect a bounce as the dip buyers and bottom fishers go to work. While the index action looked scary, on actual stock level it is not reflected in number of stocks down 5% or more on high volume. In fact my 5% scan shows 59 up breakout to 72down breaks. When markets really have bad days these numbers would look like 20:200. Also to add intrigue, my trusty stocks up 50% or more in a month has only one stock in the list currently. PRXI, Premier Exhibitions Inc. is the only stock on that list currently, which I highlighted as the earnings breakout few days ago. Levels below 5 on the stocks up 50% or more breakout are normally seen after a sustained weakness. The low number indicates market on individual stock level has had poor momentum. So essentially market is churning. There are 53 stocks on the stocks up 25% or more list.The 65 day bull to bear ration is again deteriorating and is at 763:275. Message of the market is muddled. We are stuck in the range and high probability is that the next leg is going to be down. Many of my short scans are showing candidates after a long time. Most of my short scans are designed to give signal only rarely, because shorts work rarely. When I see 11 stocks on the list, may be the season for shorts might be around the corner. Coming in to this earnings season, I had low expectations for finding many plays as against last few earning season, but the earning season is not yet over and I am pretty confident of finding around 20 plays which will make 25% plus moves in the quarter, even if the market takes a dive from here, I am not very worried. If there is a strong earning catalyst nothing can stop a stock from making 25% kind of move in a quarter. There are over 6000 stocks yet to announce their earnings, so opportunities will be there if you understand how to play the earnings game. Earnings related strategies are my bread and butter. I play various variations of the earnings strategy, earnings lead breakout is just one of them. They give you the biggest bang for your bucks. My exhaustive study of all those who had triple digits kind of returns in a year at various time in their career shows that earnings was one of the basic foundation of their strategy. Mastering earnings is one of the best ways to beat the market handily. There are around 14 new additions to the IBD 200 list. Media, metals and leisure stocks dominate new additions. While many traders continue to trade last bull markets leader, the technology stocks, you would notice most of the big movers in this list are little known stocks from non technology sectors. For example take GEO, The Geo Group which is up 185% in a year and it is prison and security operator. The one constant about market is leadership comes from unknown , little followed, out of favor companies. Unless you are trading billions, one of the best way to beat the market is to just forget about well known, over hyped, large float stocks followed by analyst and large group of traders. The gems are always in the market's dustbin.